Integrated product Label Kits contain two or more labels run together on the same sheet or roll, saving any additional setup time or expenses involved with running more than one label. Custom label kits are a great solution where one product or piece of equipment requires more than one label. 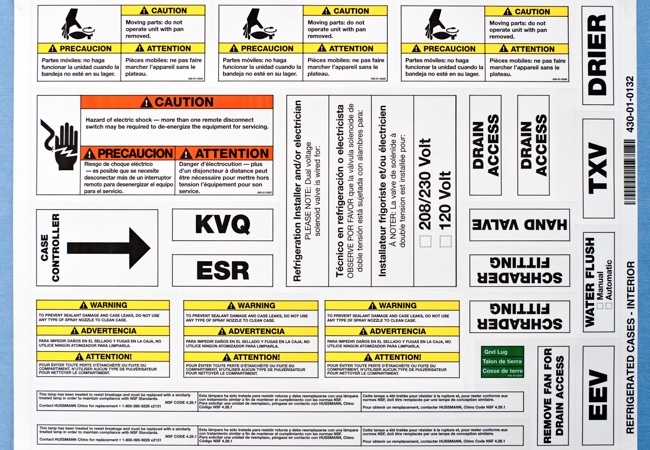 They often include warning labels, instructional information, product information, and more. So what features and benefits to Label Kits have to offer? The bottom line: As experts in manufacturing custom Label Kits, we will guide you through the process of choosing the best option to fit your custom label application. Guess How Many Different 3M®VHB® Tapes We Offer?